You’ve seen the television shows, like Diggers, that portray the glamorous side of metal detecting—the museum hunts, finding gold coins or historically-significant relics. Maybe now’s the time to finally cave in and buy a metal detector so you can find some great items too. 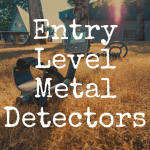 You’ve had your eye on the Treasure Cove metal detectors for some time and you’re wondering which machine would perform the best or match your beginner status. You could find a fortune with this detector, but it’s not going to do you a lot of favors if you have difficult soil conditions to hunt in. 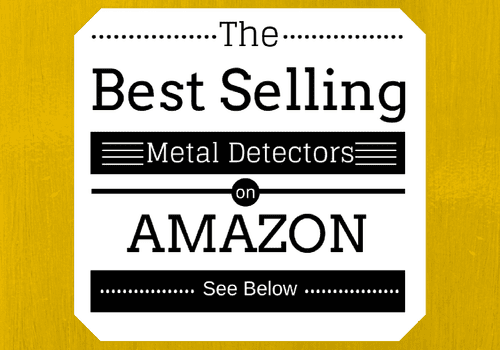 This detector is aimed purely at newbies in the metal detecting world. Unlike some other detectorists, I’m not a snob who thinks people should only be hunting with top-of-the-line equipment or a certain brand. For years, I hunted with an entry-level machine much like this one and I found great stuff on almost every hunt. In the interest of full disclosure, I also found my body weight in various sizes of nails and bottle caps. With these lower-end units, you’re going to dig a lot of trash while you search for your treasure. That’s because the discrimination and ground balancing modes aren’t great on these things, and they might not even offer those features at all. But if you’re on a tight budget and it’s the only way you’ll be able to afford a detector, you should go for it because these machines offer all the basics that you absolutely have to have. You’ll be able to purchase a TC-3020 for around $150 if you look around. Here’s what a Treasure Cove TC-3020 Fortune Finder will offer you. Three audio tones: The lower tones are generally ferrous materials, like those nails and bottle caps I spent way too much of my time digging. But this tone can also signal nickels, and that’s why I try to never refuse a solid sounding target, even when it’s a low tone. The medium tones can mean copper or even gold. High tones are typically silver or sometimes brass. An 8-inch waterproof search coil: This size of a coil won’t help you cover ground very quickly, but it’s enough to get the job done. The fact that it’s waterproof will help you if you do some hunting in shallow streams or a lot of mud. A durable machine: This machine will hold up to frequent use and it’s not so expensive that you’ll worry about every move that you make with it. Notch discrimination: This setting will help cut down on the junk signals you receive, which will save you some time and aggravation. It stinks to spend half your day detecting only to find trash after you’ve dug more holes than a gopher. Target mode: This helps you to better pinpoint your target, but I’d rather have a good hand-held pinpointer than this feature. These days, I won’t even go on a hunt without my pinpointer. It saves so much time. One of the drawbacks to this machine is that the depth is often inaccurate. If you’re buying this with the intention of hunting on a beach on your next vacation, you’ll want to find a different machine because of the lack of ground balancing. If the TC-3020 represents a low-end metal detector, then the TC-1018 is more like a child’s toy. It’ll only set you back about $60, but you really shouldn’t even consider purchasing this metal detector, unless you’re buying it so your child can cheaply metal detect next to you. But, if you’re going to do that, there are other detectors out there that would be better suited for children than the TC-1018 is. This detector just doesn’t deliver the performance. The two things the TC-1018 does have going for it are its weight and its easy-to-use settings. But keep in mind, t’s so easy to use because it doesn’t offer many features. At only 1.5 pounds, it really would be a good weight for a child. The TC-1018 comes with a 7.5-inch waterproof coil. That’s a small coil, especially if you want to cover ground quickly. You’re going to lose a lot of depth with that size of coil because generally speaking the bigger the coil, the greater the depth you’ll get. If you can only afford a low-end model, you’ll definitely want to go with the TC-3020 over this detector. For about $90, you can purchase the Treasure Cove TC-1015 metal detector. This is a junior metal detector for kids, teenagers and people who want to dabble in metal detecting. Do yourself a favor and save the extra money for the TC-3020 if you’re going to buy one of these models. You’ll get a much better performance. 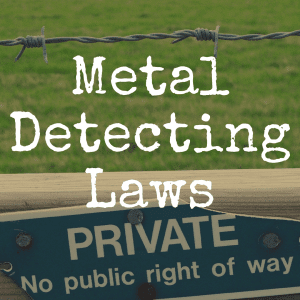 But if you are metal detecting with your child who is still really young and would have difficulty lugging around a more substantial metal detector, this might be enough to keep their interest in metal detecting going. It is user friendly, and a child should appreciate that. But they’ll outgrow this in two or three years if not sooner, and then you’ll have to cough up more money for a new detector more suitable for their growing expertise. This detector also employs a 7.5-inch coil, compared to the TC-3020’s 8-inch coil, and is short on useful features that serious detectorists would require. The TC-3050 costs about $20 more than the TC-3020, and you’ll want to spend the extra money for the upgrade if you’re struggling trying to decide which of these machines to buy. With the TC-3050, you’ll get a 10-inch waterproof coil, compared to the 8-inch coil on the TC-3020. That’s a big difference for $20. That extra 2 inches on the coil will get you more depth for finding your targets and you’ll be able to cover more ground at a faster pace. The TC-3050 has a digital display screen that shows depth and the kind of object you’ve likely found. And it doesn’t require any manual tuning, which is a perk for beginners who are uncomfortable trying to figure out what they should be doing with their detector. It has a discrimination mode and notch mode. Like the TC-3020, the TC-3050 does have a low operating frequency – 6.6 kHz. While you won’t want to go gold prospecting with this unit, it’ll do a decent job of general relic hunting as long as you don’t run into soil mineralization that would require ground balancing. You’ll pay just under $300 for the TC-5000 compared to the $150 you’ll spend on the TC-3020. The TC-5000 is better at finding gold than the TC-3020 is. The TC-5000 has a 10.25-inch waterproof search coil – that’s a decent size, both for depth of targets and for quicker searching. The coil is also elliptical in shape, which can help a bit if you’re trying to search some tight spots or areas that are hard to access. This machine is much better with mineralization. It has manual ground controls that you can use to get rid of any false positives you’ll get when you’re hunting in areas where the soil has heavy mineralization. The TC-5000 also has other more standard features like a discrimination mode, a tone mode, an all-metal mode and a target mode. Although Treasure Cove detectors wouldn’t be my top recommendation if someone asked me which brand of detector they should buy, the one thing these machines all have going for them is how lightweight they are. It might not look like it, but metal detecting can give you a serious workout, especially if you’re out there for a few hours. There’s a lot of walking, bending, stooping and digging involved. When you factor in all the movement with the often-times heavy equipment you’re lugging around, it can get pretty physical. That’s why, unless you’re using metal detecting as your personal trainer, it helps to have a lightweight machine in your hand. All of these machines are under 3 pounds, and some are under 2 pounds. That’s about as light as you’re going to get for a metal detector. Which detector you should choose will depend partially upon how much you can afford and what conditions you’ll be hunting in. For a grown-adult who has never detected before and is strapped for cash, I’d recommend the TC-3050. The bigger coil size makes it a better choice than the TC-3020 in my eyes. For a younger child who wants to get their feet wet in the metal detecting world, but doesn’t want to spend too much time delving into user manuals and figuring out how to adjust for any specific conditions they’ll run into, I’d go with the TC-1015. It’s cheap enough that it’s not a major investment for a hobby that you aren’t sure yet if they’ll enjoy. It’ll be enough to cover the basics without overwhelming them with weight or with features they don’t understand. Plus, if they decide they love metal detecting and they want to upgrade their machine in a few years, it isn’t a big financial loss because you’ve only spent $90. For an adult who is fairly confident they’ll enjoy metal detecting and has a little more disposable income to use, I’d tell them to go with the TC-5000 if they have their heart set on buying a Treasure Cove metal detector. The ground balancing feature it offers is worth the extra money. If you enjoyed this article, please “like” our brand new Facebook page! What’s the Best White’s Metal Detector? What’s the Best VLF Metal Detector? 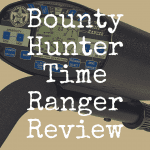 What’s the Best Minelab Metal Detector? 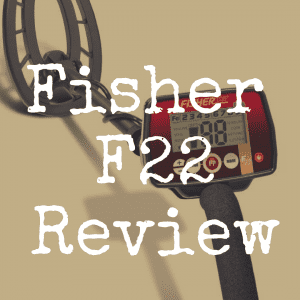 What’s the Best Fisher Metal Detector? What’s the Best Tesoro Metal Detector? 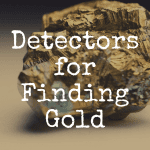 What’s the Best Metal Detector for Finding Gold? 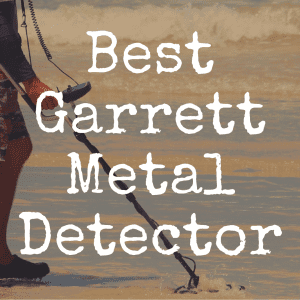 What’s the Best Entry Level Metal Detector?